Your marketing team has just determined which customers to reach out to, and your sales team is now in the process of figuring out which leads should be prioritized, how they should be categorized, how far along into the pipeline are they, and how long they’ll be in the pipeline for. Sales pipelines and sales funnels are used by agents to see all this information. 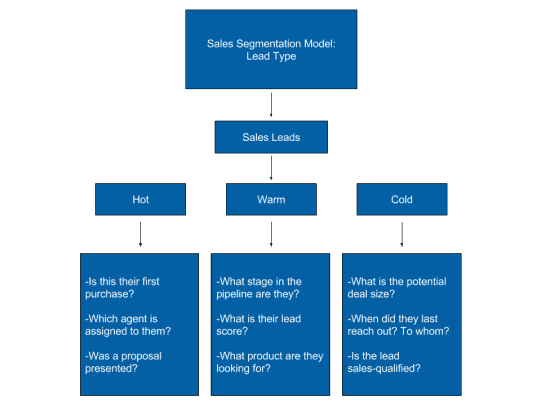 Segmenting these leads while they’re in the middle of the sales process will help ensure each lead gets the attention it deserves, giving your sales team a better chance of converting them into a customer. We’re going to break down the kinds of leads sales teams should pay attention to and how to segment them in order to paint as clear a picture as possible about their potential customers. When individualized interactions are prioritized by businesses, the odds of successfully converting leads into customers will increase significantly. Before we can begin to talk about how to segment leads, we need to briefly explain the different kinds of leads. This is important because people interact with businesses in different ways, and businesses use omni-channel marketing strategies to reach out to leads. 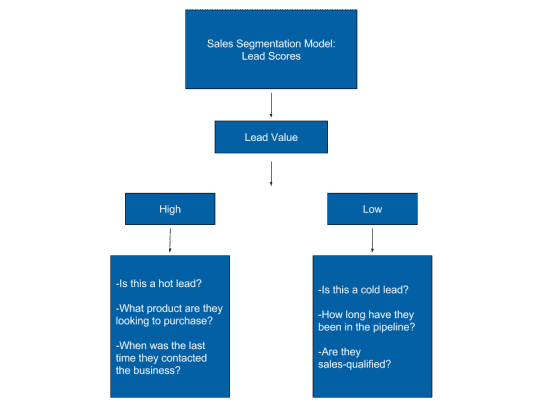 Breaking down different lead types already puts your sales team in the right direction when it comes to determining which leads are worth pursuing, which ones need to go, and how they should be categorized. Qualified leads have a few different categories, but essentially, these leads actually show interest in making a purchase after being vetted by a marketing team and being solicited by a sales agent. Marketing Qualified Leads: These are leads that have been deemed worthy of pursuit by the marketing team. When a potential lead is considered an MQL, they go over to the sales team to be vetted. These leads are at the top of the pipeline. Information Qualified Leads: These leads are also at the top of the sales funnel. IQLs are leads that appear to have the information they need to be actively pursued by a sales agent. They can be given more information if they wish. 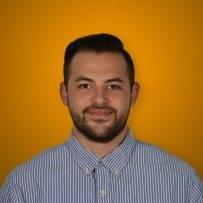 Sales Qualified Leads: SQLs are like MQLs. First they are vetted by the marketing team, and then they’re vetted by the sales team. These need to be prioritized because the faster agents respond to them, the higher the odds of them making a sale are. Everything is in place to move forward with a purchase. They’ve reached out, they set money aside, and they might have even suggested a time frame for the purchase. Hot leads deserve constant attention and require little nurturing. They typically don’t occur until the lead is near the end of the pipeline. Nothing is happening. It seemed like there’s progress or potential for a sale, but either the lead changed their mind, or they didn’t like certain aspects of the purchase. Cold leads aren’t completely dead, and could even turn into a sale with a lot of nurturing, but it’s not required unless the business feels the value of the lead is too high to pass up. There isn’t a full commitment, or as much of a commitment as a hot lead, but there’s still a chance for a purchase to be made with a little more attention. Warm leads can’t be forgotten about. Warm leads tend to exist in the middle of the pipeline, where there’s no guarantee a purchase will be made, but the lead and agent are communicating effectively. These leads, regardless of how long or short they stay in the pipeline, will generate lots of revenue and also require agents to stay on top of them. High value leads often take time to develop and top agents should be assigned these leads. These shouldn’t be forgotten. Especially if there are lots of low value leads because they could potentially make up for the lack of high value leads, or they could even turn into high value leads in the future. Low value leads won’t be significant game changers, but they can make a difference depending on what your business’ goals are. 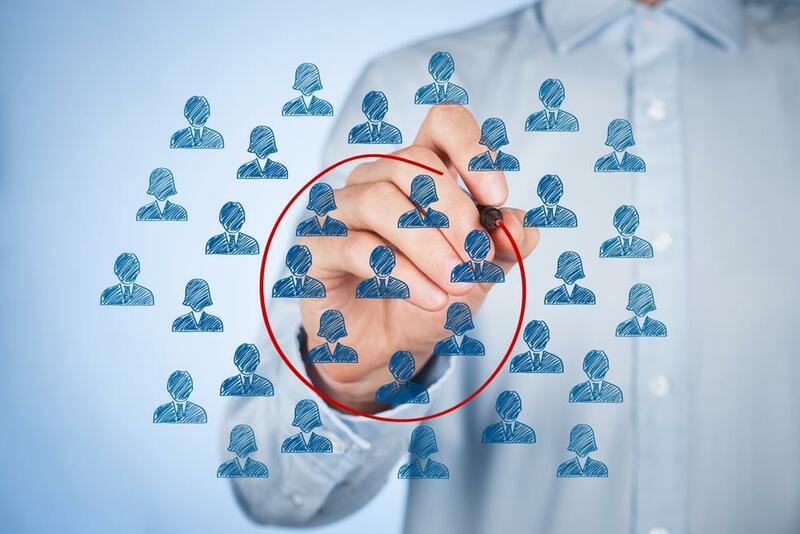 Segmenting leads will help sales teams improve customer experience by focusing primarily on the lead, taking into consideration how the lead wishes to do business, knowing when to push them, hold back, or offering a different product that better fits their needs. Lead segmentation also helps sales teams by allowing them to target smaller groups of people with more specific sales pitches and offers. For example, a printing company near a college can offer students a student discount on ink or paper so they feel more inclined to print from home instead of going to the library, waiting on long lines, and paying per-page to print something last second. Agents work with leads directly, which means it’s up to the sales manager to determine which agent covers which lead. It wouldn’t make sense for your best sales agent to work with low quality leads who have no significant impact on the company. Overall, knowing who wants to buy what will increase the quality of the products your business sells while increasing the number of sales because segmentation will naturally force businesses to adapt to the exact needs of each segment resulting in better products and happier customers. Here, we have ten ways your sales team can segment its leads. These aren’t the best, nor are they the only ones in existence. These segments will help organize your leads into meaningful categories that will cater to almost everyone’s needs, ultimately giving your business the best chance of increasing revenue. Another useful segmentation option is to categorize leads by scoring how often they interact with your company and agents. Many sales CRM software providers offer lead scoring and managing features that agents can use to determine how invested their leads are. What high lead scores implies is that the more a customer interacts with the company, the more likely they are to make a purchase. Separating them from low lead scores helps businesses determine who’s a more valuable lead to pursue, and which agent should work with them. If your business has a number of big clients looking to make a purchase, those should be segmented into their own category because those big clients will require an agent with a higher level of expertise versus a brand new agent that just started last week. If your business has a number of small clients that don’t require the expertise of your more experienced sales agents, they should not be assigned to those clients. Those smaller clients should be grouped together so they don’t get mixed in with less valuable leads. Have any of your sales agents actually contacted the leads yet? They might have been deemed worthy candidates to reach out to, but that doesn’t mean they’re ready to make a purchase immediately. Segmenting contacted leads and not-contacted leads will help avoid confusion on how to start or continue a conversation. More simply, it shows what stage of the pipeline the lead is in. Ideally, all the leads your business will be committing to are qualified at this point; however, if they’re not, it should be made a priority that the ones that aren’t do get qualified, or they’re separated from the leads that are actually showing signs of life. This will help ensure each agent is working with someone who isn’t wasting their time, that even with intense nurturing, there is a chance for a purchase to be made. Spending too much time on leads that lead to nothing will frustrate your agents, which helps no one. Having pipeline-based segments allows businesses to segment leads based on where they are in the pipeline. This helps businesses determine which leads need to be prioritized, which ones can be waited on, which agents need to work with which leads, and when leads should be contacted. All of this matters because some agents might be better at different stages of the pipeline. For instance, one agent might not be good at introducing products, but knows how to close them. If a lead just entered the pipeline, they shouldn’t be treated as if they’ve already been doing business with your company. If they’ve been doing business with you, they shouldn’t be treated like you’re meeting for the first time. This shows that leads have been qualified by the sales team, an agent has made contact, and a deal is in the making. If a proposal has been presented, this shows that the lead is deep into the pipeline, and they are coming to the final stages. These high-priority leads need to be segmented because this reminds agents that they cannot be forgotten over leads that are only just entering the pipeline. It doesn’t matter how many leads an agent can bring in if they can’t close them. After all, it’s not a deal until the lead makes it official. Another way to segment leads is by the product they’re interested in buying. Some agents might have more knowledge on one product over the others. If your business sells more than one product or service, segment them so agents can work with leads on what they know best. There’s no reason to force someone who has no experience selling a certain product to sell that very product, especially when the lead appears to be a high value lead that could generate lots of revenue for the business. This ensures the right agents are working with the right leads. This is very similar to the product-based segment. Just as the name suggests, agent-based segments are categorized by which agents are covering which leads. This can help sales managers see how many leads each agent is working with, and help them to avoid giving too much work to one person. This is important because there is still a very human element to sales, meaning people want to relate to each other. If a lead has a question that is too complex to find online, they want to be sure they can go to the lead for help, and the lead wants to ensure they can spend enough time with the lead to give them a positive customer experience. Depending on the size of your business, having a region-based segment can be very beneficial. If one agent has expertise working overseas, they should obviously be dealing with leads outside the United States. Even if all your leads come from the same general area, there are smaller regions within them that agents can use to their own benefit if they have personal connections to the area. Finally, one of the more obvious and effective ways to segment your sales leads is by categorizing them by their type. As we previously stated, there are many different kinds of leads, and they are all determined very similarly to our segmentation options. They don’t all have to have their own segment, so you can choose whichever and however many types of leads you want to prioritize. If, for example, you choose hot, cold, and warm leads to segment, agents will know which ones need to be prioritized, which ones need extra TLC, and which ones can be eliminated. This will help ensure agents are working only with the leads that will actually generate a sale in the foreseeable future. How Can Sales CRM Software Help? Lots of sales CRM software providers offer businesses lead management tools that help automate the sales process. 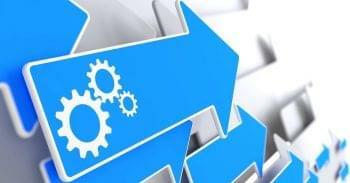 Some of these automations include pipeline management and lead segmentation features. The sales pipeline is a visual tool businesses use to determine where each lead is in the process. 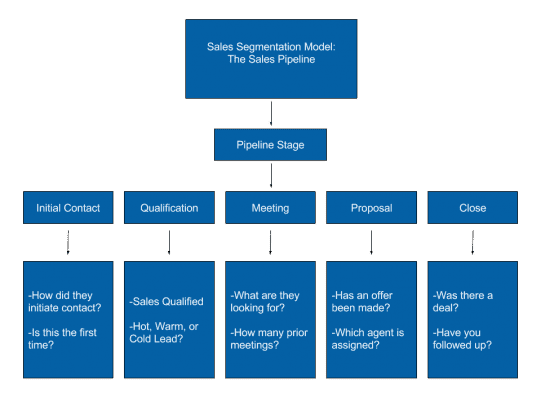 In each pipeline, there are several stages that represent the sales process. As leads pass through each stage, businesses can monitor how fast or slow they’re moving through the pipeline based on specific metrics. Lead management tools are offered by all sales CRM software. Some of these features include accessible contact records, communication history, automated follow up emails, scheduling tasks, and making phone calls. All of this can be done in the same place, too, so businesses don’t have to go back and forth between different programs. Below is a chart of providers who offer powerful lead management features. You’ll also see what specific features each provider offers businesses. For more information on these providers, check out our top sales automation software provider list. Customer Segmentation is an absolute essential for sales teams interested in enhancing their sales process. Leads come in all forms and offer businesses a great opportunity to target smaller groups of people in an effort to personalize every customer experience. Doing so ultimately leads to an increased revenue and increases the likelihood of customers coming back and telling other people about their positive experience. When sales teams look at their leads and identify proper ways to segment them, the entire sales process speeds up and agents can work focus specifically on leads that they’re confident working with. Sales CRM software should also be implemented because every major provider we listed offers some form of lead management features that can be used to manage contact data in a more efficient way. Ultimately, when the sales process is organized and businesses are taking advantage of tools like sales pipelines and segmentation features, it becomes much easier to see where their strengths and weaknesses lie. Focusing on what works and quickly fixing what doesn’t will benefit your sales team significantly.